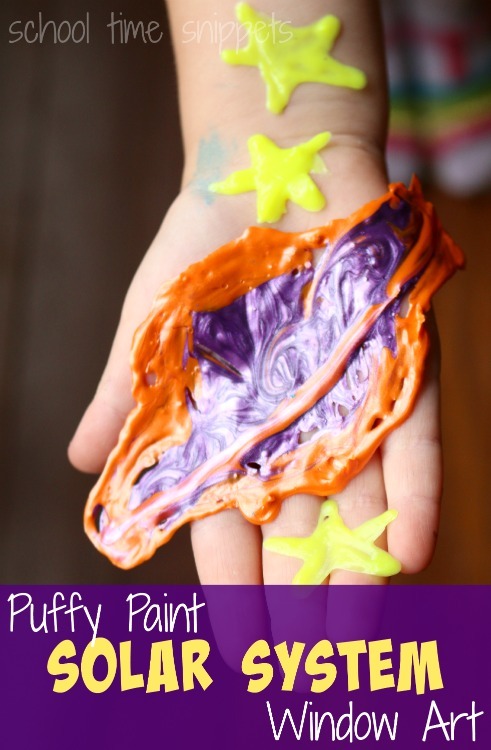 DIY Snowflake Window Clings: So Simple Kids Can Make! Our first big snowfall has come and gone already. The kiddos had so much fun playing in it and so they are anxiously awaiting the next time they get to wear all their winter gear to play in the snow. Until then, a great book to read about Snow is Snowflake Bentley. It is the story of Wilson Bentley, aka The Snowflake Man, who discovered no two snowflakes are alike through his interest in photography. 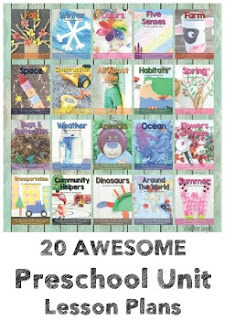 It is hard to believe that every snowflake that fell during our first snowstorm were all different! 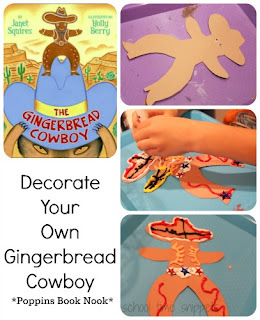 After reading Snowflake Bentley, we were inspired to make our own snowflakes. 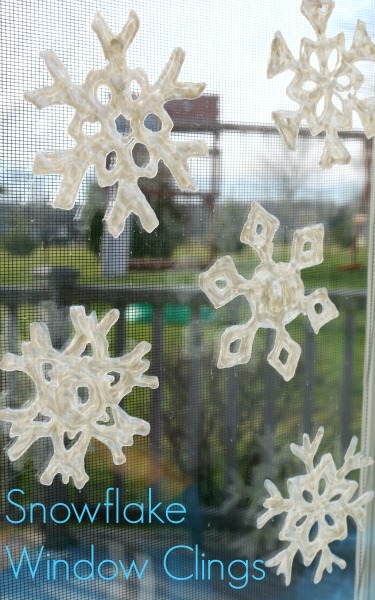 Our Snowflake Window Clings will have to appease the kiddos until the next snowfall. 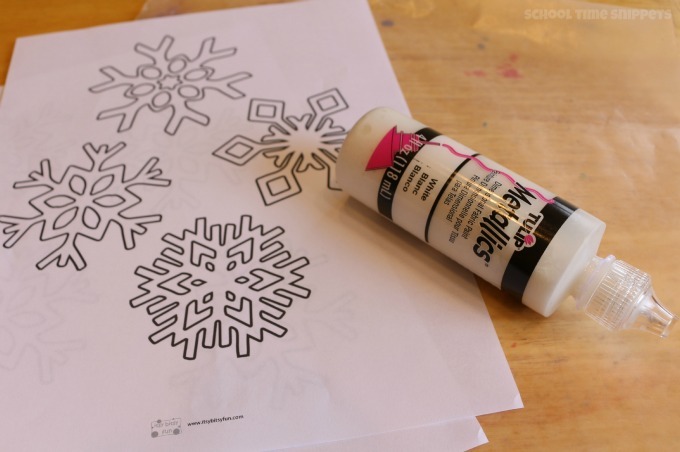 We printed off Snowflake Coloring Sheets from our friends at Itsy Bitsy Fun for our snowflake template. 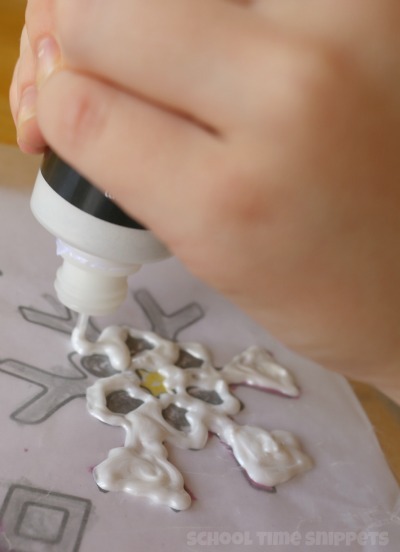 Cover the coloring page with wax paper and trace the snowflake pattern with a liberal amount of puffy paint. Let the snowflakes dry overnight. 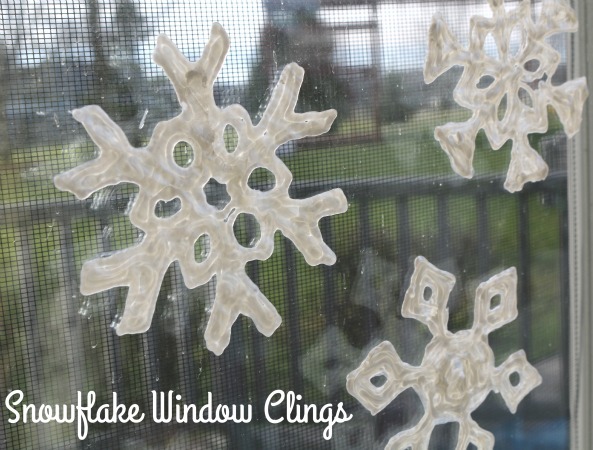 Once dry, carefully peel the snowflakes from the wax paper and add the homemade Snowflake Window Clings to your window! 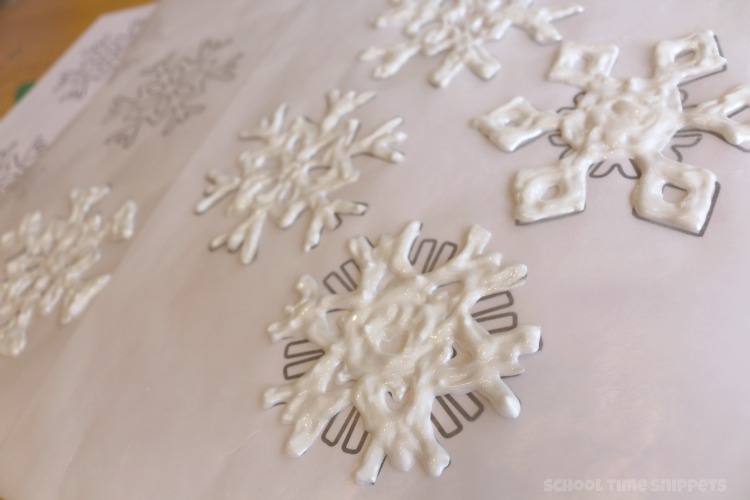 These Snowflake Window Clings are a great craft to make in addition to reading Snowflake Bentley. We made five, which there just so happens to be a rhyme called Five Little Snowflakes that I shared with my younger kiddos. As we said the rhyme, we took a snowflake off the window-- such a playful way to introduce math concepts to the young ones.